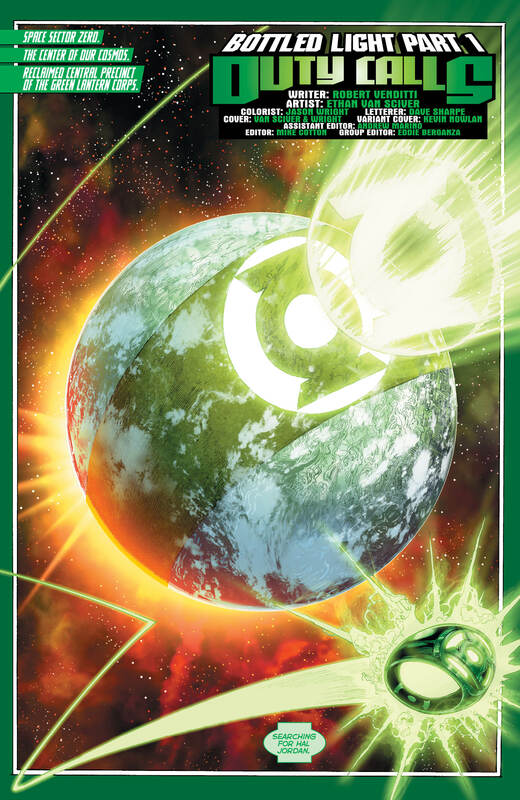 It may have taken Hal Jordan and the Green Lantern Corps some time to fully live up to its name, but, to its credit, everything occurred organically. 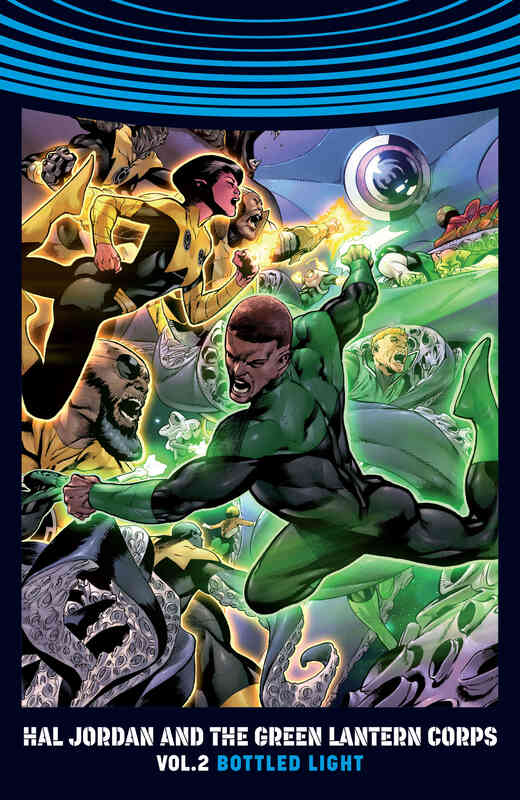 Sure, writer Robert Venditti could’ve just reunited all of our favorite lightsmiths at the start of the series, but then it would’ve appeared rushed. 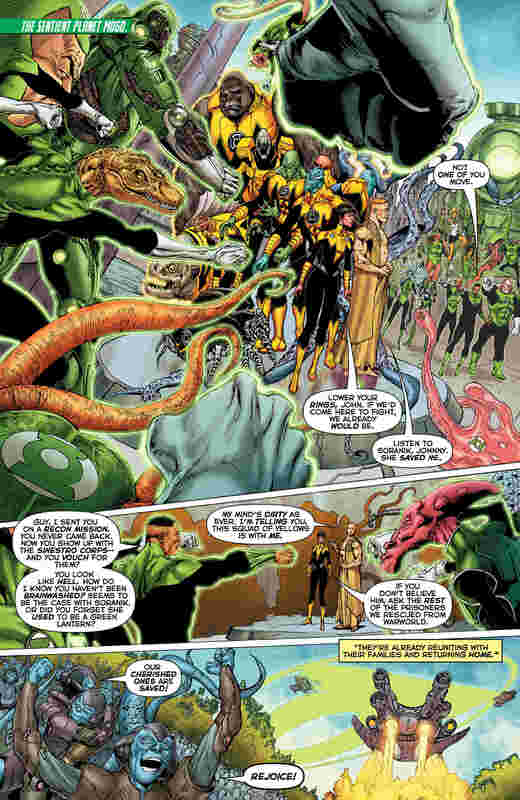 And seeing as how he was building upon what he’d already established with his New 52 run on Green Lantern as well as Tom Taylor’s Green Lantern Corps: Edge of Oblivion – which saw the wealth of the Corps venture to and from the universe that preceded the current one, no less – it wouldn’t have been logical to reunite everyone from the outset, now would it? But before the most popular ringslingers get to exchange high fives, they do have some challenges to contend with. 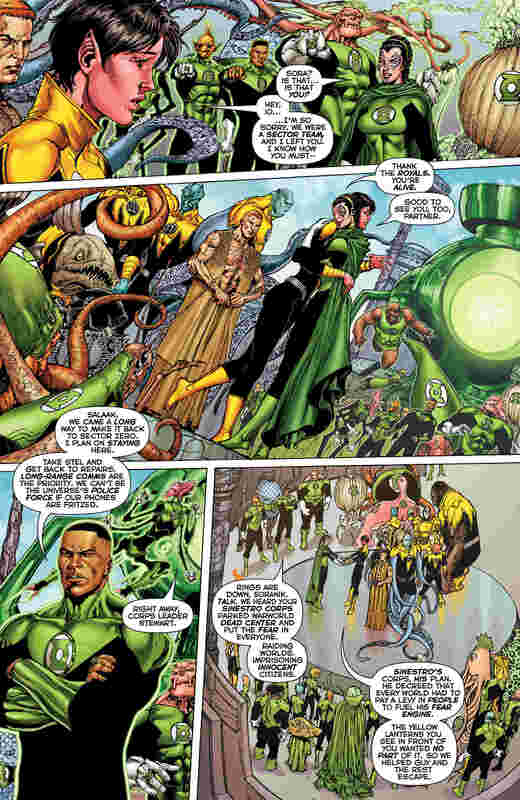 First of all, the surviving Green Lanterns have now formed a rocky working relationship with Soranik Natu and various other altruistic members of the Sinestro Corps after the defeat of the latter’s eponymous leader. Suffice it to say, it brings a new measure of depth to this title and keeps readers guessing if indeed the two sides can truly coexist. And coexist they must, for a grave threat presents itself in a most exciting way. 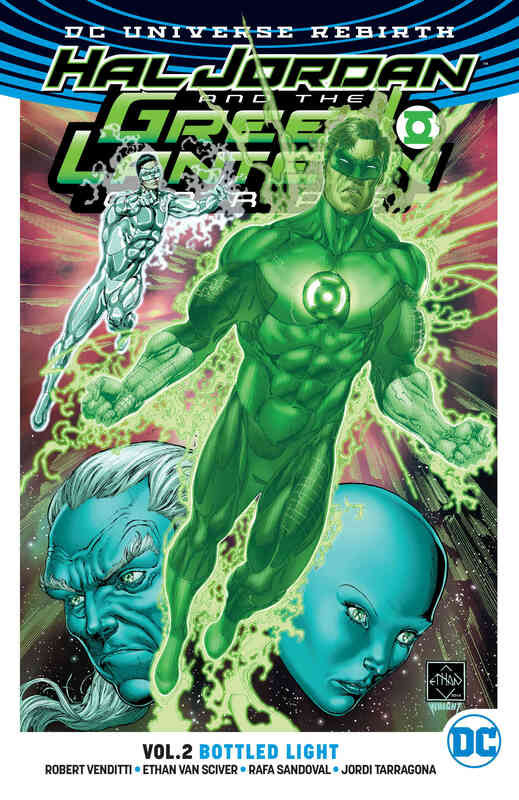 Basically, if you like it when creators intermingle characters from across the DC Universe (Batman vs. Lex Luthor would be one example), then there’s a lot for you to dig here as everyone must put aside their differences in order to survive being bottled by Brainiac 2.0. 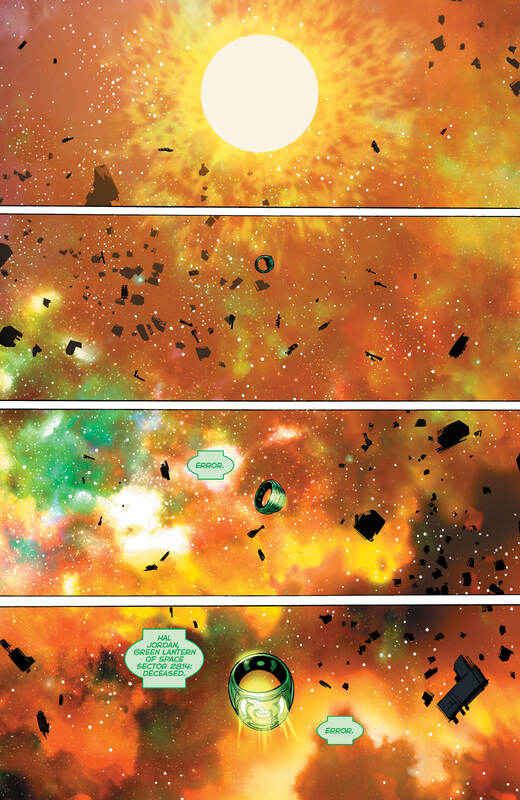 Despite being a villain native to Superman, you have to admit that pitting him against the Corps makes perfect sense, not to mention one heck of a reading experience. 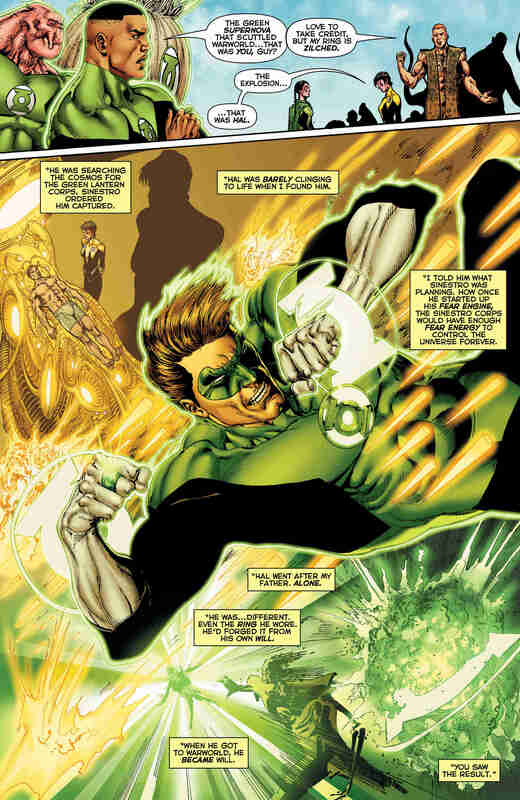 Hal Jordan and the Green Lantern Corps Vol. 2: Bottled Light collects issues #8-13, and features artwork from the likes of Ethan Van Sciver, Rafa Sandoval and Ed Benes. Should this interest you, know that it’s now available in both comic shops and bookstores.